PORT AU PRINCE, Haiti, Aug 21, CMC – Police were guarding the Parliament building on Tuesday after unidentified people reportedly threw a grenade at the building and shots were also heard on Monday. The Commissioner of the Government, Ocname-Clamé Daméus, said that the Central Directorate of the Judicial Police (DCPJ) had been ordered to question all the security officers assigned to building at the time of the incident. He said people who use social networks to incite members of the population into violence will also be questioned as part of the investigation by the National Police of Haiti (PNH). The authorities said that the grenade model will most likely be determined during the investigation and that several bullet holes can be seen on the building. They said that four surveillance cameras that had been installed were not functioning at the time of the incident. 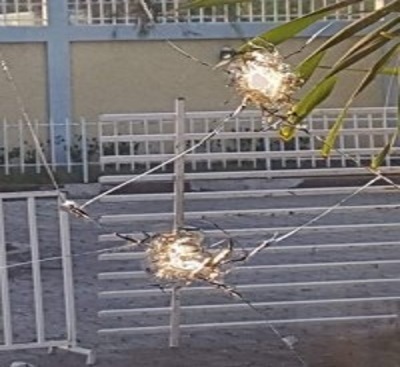 One legislator, Senator Willot Joseph, speaking on a radio programme here, said he remained suspicious about the “attack” and supported the argument that the gunshots had been fired from inside the building. The Speaker of the Senate, Joseph Lambert, also criticised the action of the DCPJ officers who had sought to prevent journalists from covering the incident. Media reports said that the equipment of some of the journalists were either damaged or destroyed as a result of the actions by the DCPJ.